PowerA, the sellers of the MOGA gaming controller for Android, are offering a special deal on a limited supply of controllers. For a very limited time, you can get a new $50 controller, coupled with Gameloft’s Modern Combat 4 for free. All you have to do is pay shipping and handling. Awesome, right? 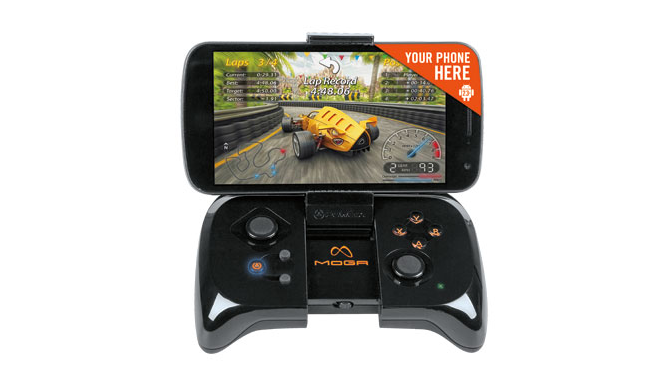 The controller attaches to your device, turning any phone into a portable gaming system. Once on the site, add the controller to your cart, then apply the coupon code, “SecretSanta.” You better hurry! Wow! You must really like MOGA! Don’t worry, the deal is still on. We have temporarily taken down PowerA.com due to the overwhelming response. Please check back as we will be back in business shortly! Didn’t get your order in? Don’t worry, we will be extending the offer. Update 2: The site is back up! They have apparently extended the sale until tomorrow, assuming their stock lasts that long. Samsung Galaxy Note 3 to Incorporate Massive 6.3" Display?